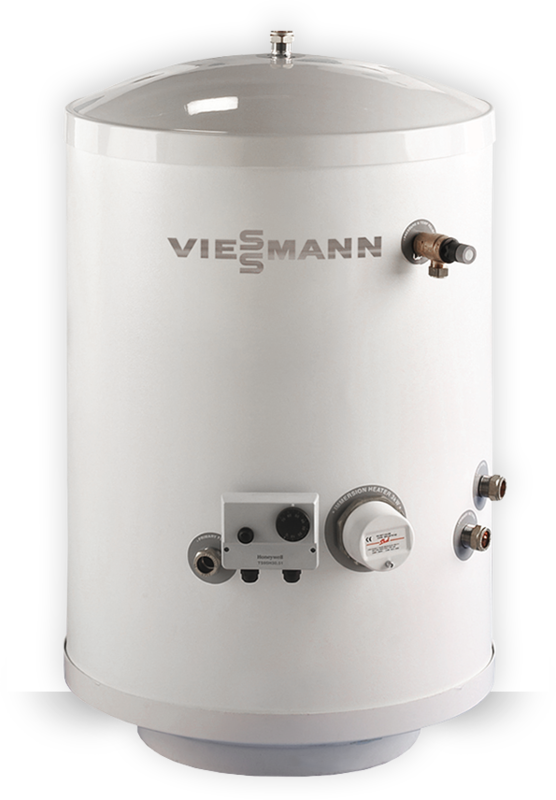 The Vitocell family from Viessmann offers the right domestic hot water cylinder for every demand, ideally matched to the heat source. The demand for hot water is completely different in every household. The number of people in your household and their bath and shower habits will all influence the amount of hot water you require on a daily basis. For example, if three members of a family set off for work and school at the same time, lots of hot water needs to be continuously available for the shower in a short space of time. Those who prefer a bath will also want to have enough hot water to fill the tub. In the Vitocell family, there is a DHW cylinder which will meet all of these requirements. 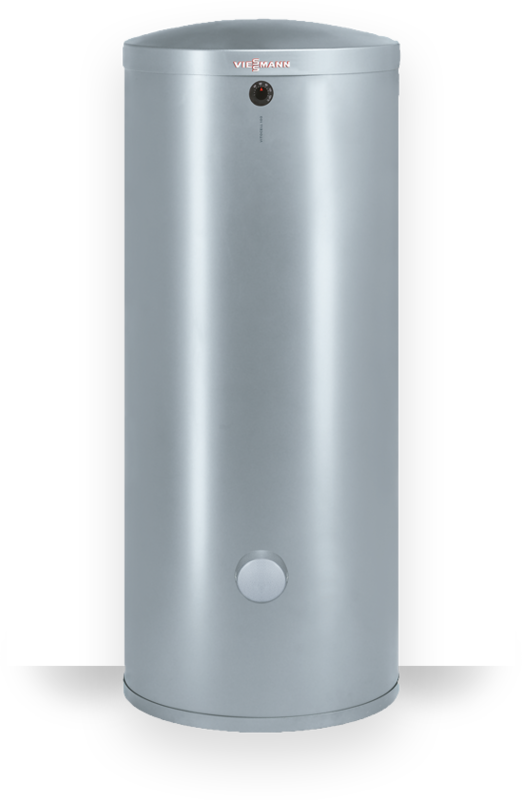 Plus, we also have hot water cylinders which will meet more demanding applications where hot water is drawn from more than one outlet at the same time, for instance those in apartment buildings. 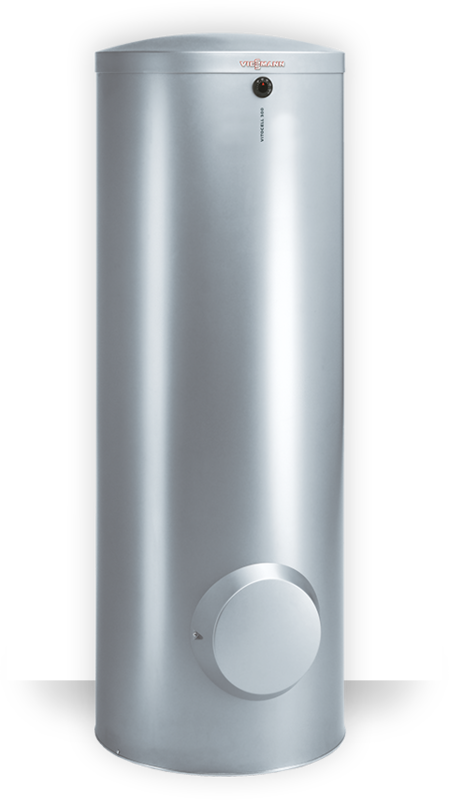 A hygienic, convenient and economic floor standing DHW heating cylinder made from stainless steel for long service life and maximum hygiene. Hygienic, convenient and economical DHW heating in conjunction with solar collectors and a boiler. The heat from the solar collectors is transferred to the DHW via the lower internal indirect coil. Not sure which product you need? Get a free product consultation. 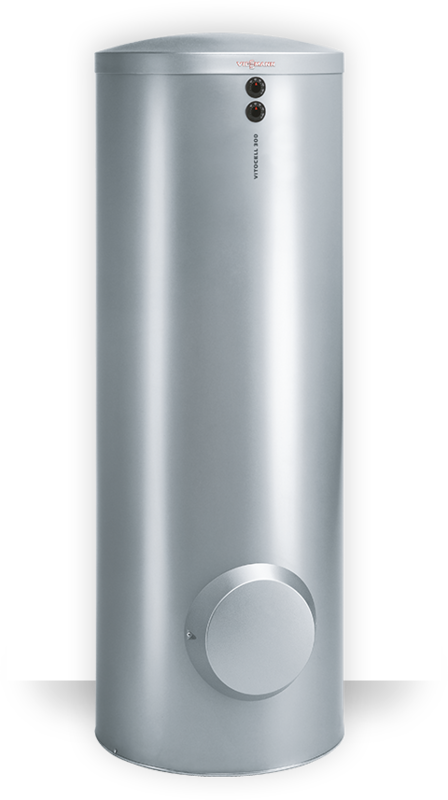 All of the cylinder options in the Vitocell family are indirectly unvented hot water cylinders. Unvented hot water cylinders are pressurised systems fed directly from the cold water mains feed, which delivers hot water at mains pressure. This makes them ideal for improving your shower and bath. As they are fed directly from the cold water mains, they do not require a cold water storage tank. The water used within our unvented indirect cylinders is heated indirectly via the central heating system. In all applications, we recommend the installation of a solar thermal system. Equipping you for the future, this will help you to save energy and also save money when heating water in your home. As standard, the majority of our domestic hot water cylinders, up to 500L, are rated energy efficiency class B. 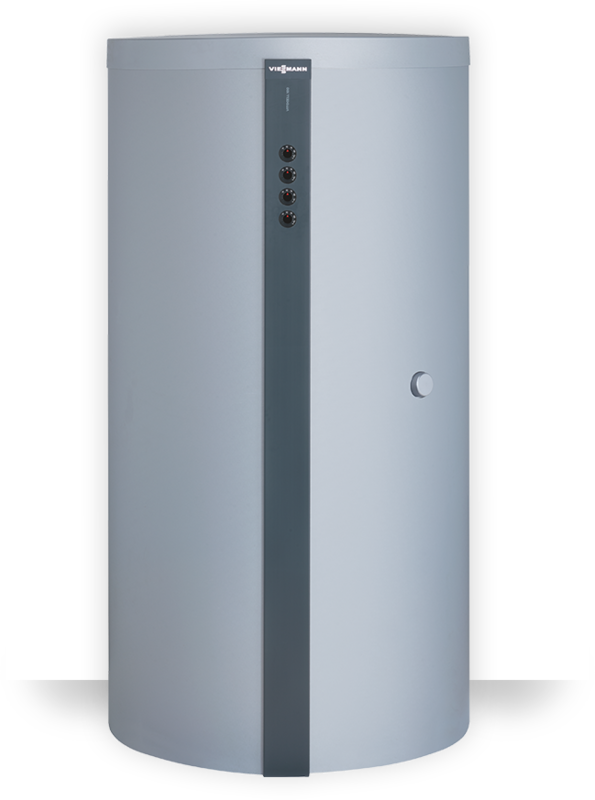 We also have hot water cylinders which are thermally insulated with an additional vacuum panel which reduces heat losses and energy costs, and are rated energy efficiency class A, for this reason. The quality of the inner surface of the DHW cylinder is crucial to providing DHW hygienically. 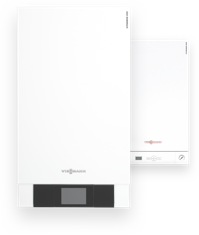 For this reason, Viessmann relies on two high quality materials: Ceraprotect enamel coating for safe, lasting protection against corrosion – applicable to the Vitocell 100 range. stainless steel – used for the Vitocell 300 range – which satisfies the highest hygiene demands. The Vitocell cylinder range offers you the right DHW cylinder for your specific requirements.